Discussion in 'Wilder Forge' started by Nolan Wilder, Aug 9, 2014. Just finished up this one on commission. 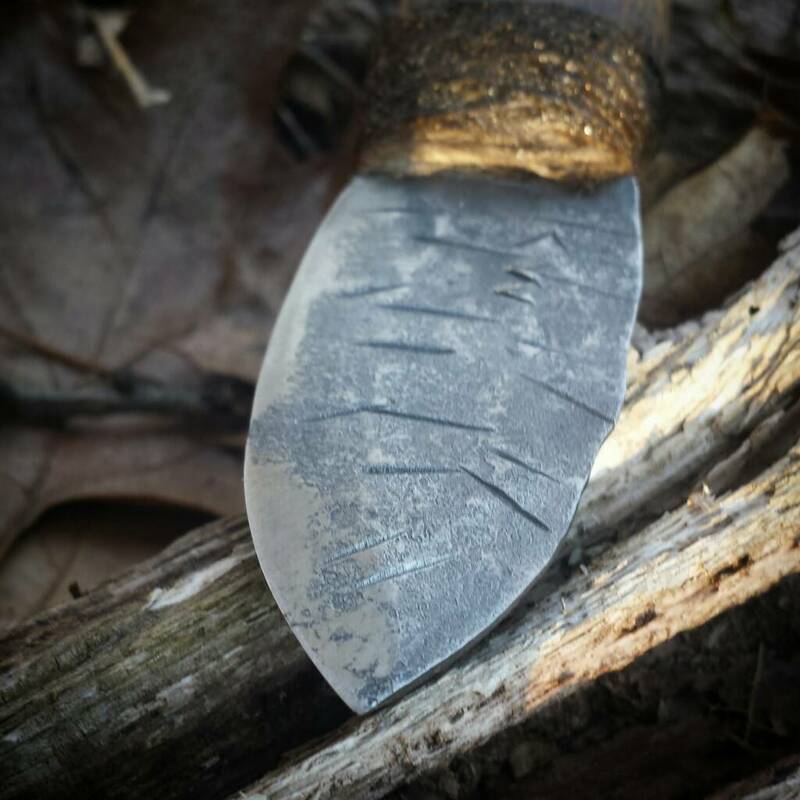 2.5" blade. 1/8" thick (at the center). Around 6.5" over all. 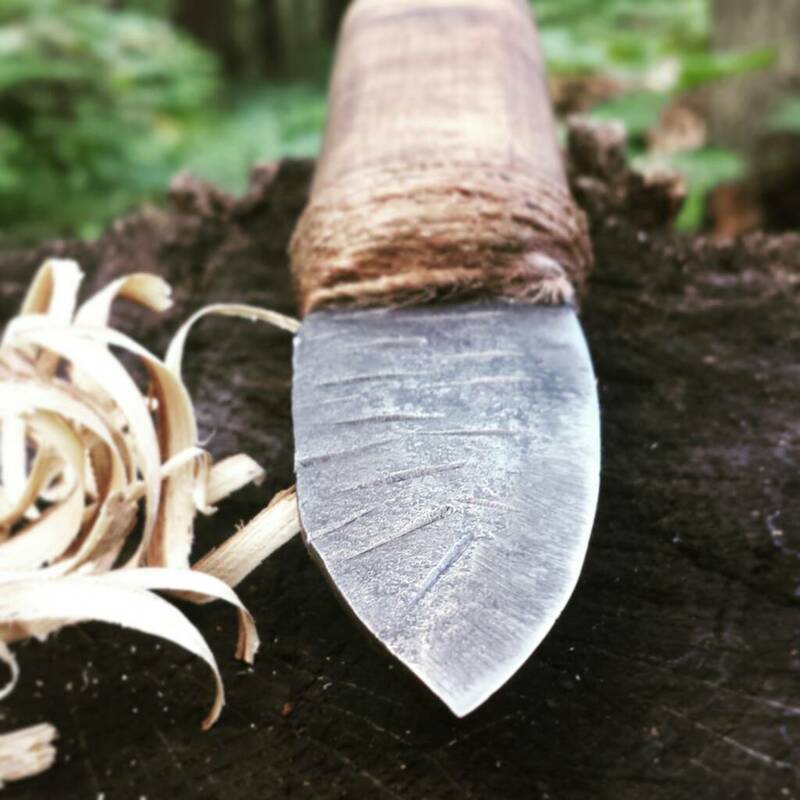 Forged from 1095, with maple handle. Jute wrap is soaked in clear epoxy. Sold for $85. Sosteve, woodsmanjohn and Falcon45 like this. Looking good buddy. Keep up the good work! Man that is awesome! Can't wait to get my hands on it! Thank you sir! Very cool knife. Nicely done. quack, I got your email. I'm glad you like it! Very nice work Nolan.. I like that a lot.. I would love to get one of your blades soon.. Thanks! I'd love to make you one! Here is another I just finished on commission. It's handle is hickory. 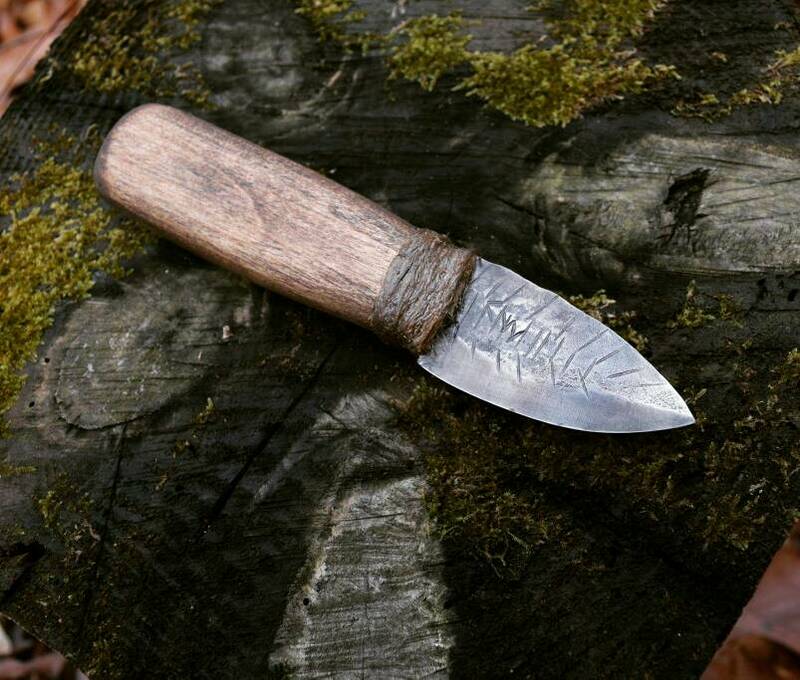 The blade is 2.5" long and forged from 1095. These seam to be popular. Looking great, keep it up. Another cool looking knife Chase. Nice job once again. Love it. And yeah, I made another! 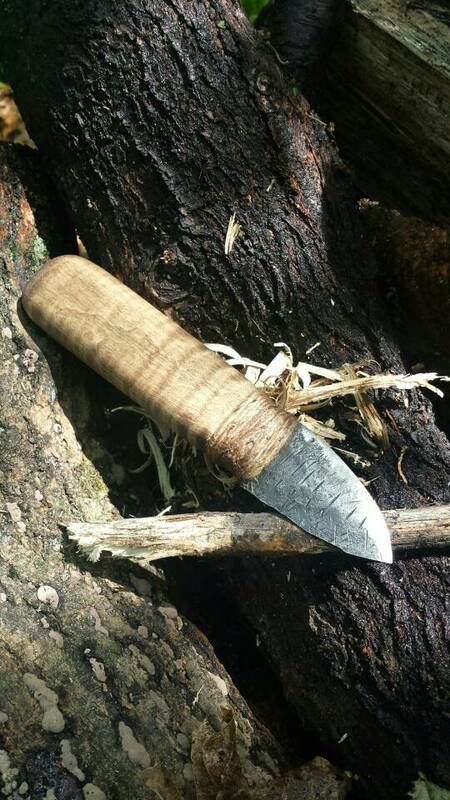 This time with a hand carved walnut handle. And 1095 blade. Sold for 85. Did these two today. 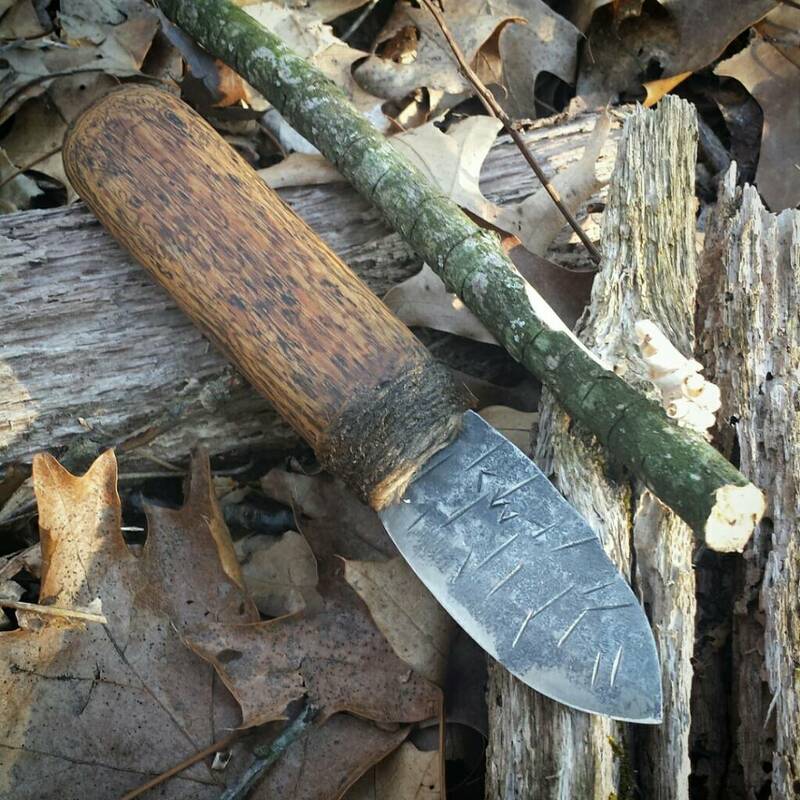 First, has a walnut handle, and 1095 blade. Next has an elk antler handle, and 1095 blade. Man.. Great stuff Nolan.. Wish I could have both those Walnut handled ones.. Can't wait to check mine out.. Here are a few more I finished this morning! 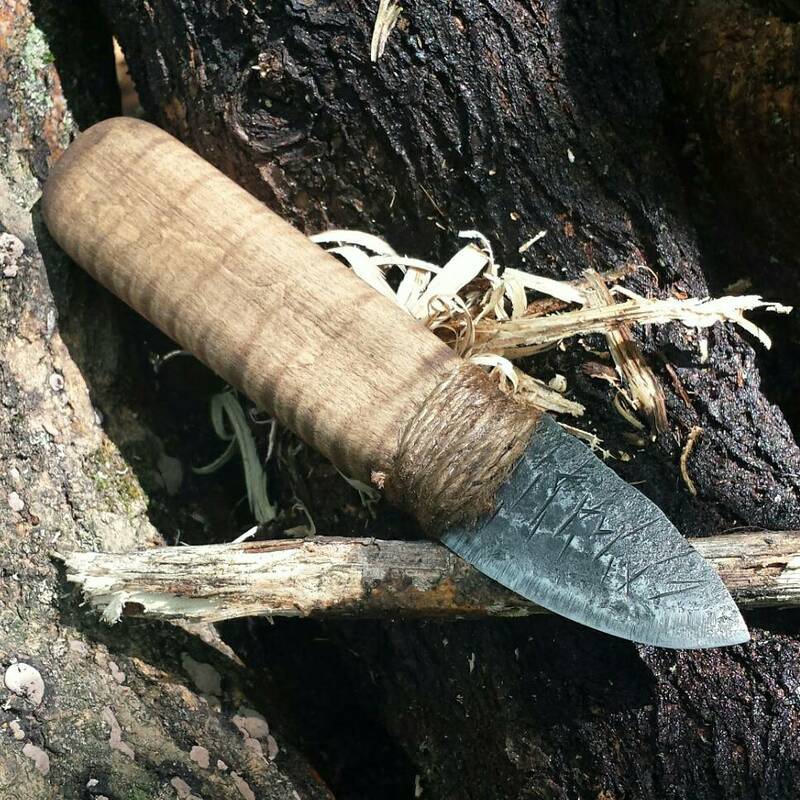 The first has a hand carved walnut handle and 1095 steel blade. 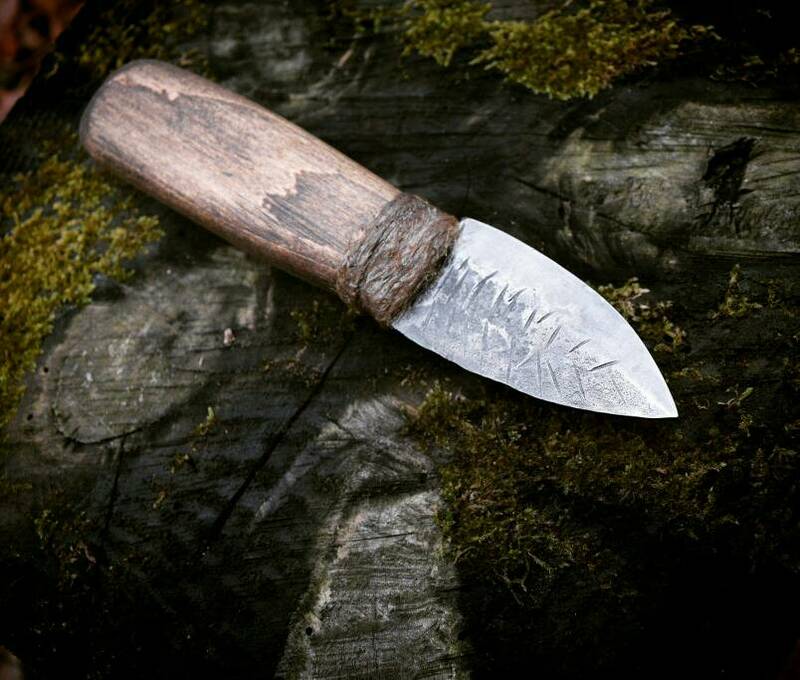 The second has a carved oak handle and 1095 steel blade. Awesome! You're a badass man! Great stuff Nolan. Loving all the Otzi's. Keep it up man. About time I made another Otzi! 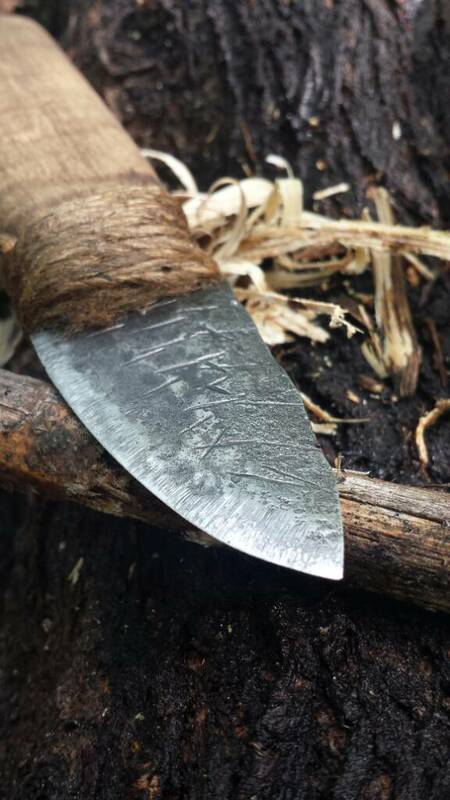 The blade is forged from 1095. The handle is made from oak and has a jut wrap that was soaked in epoxy. Sold for $85. These things are so much fun to make, so I was excited to get this order! 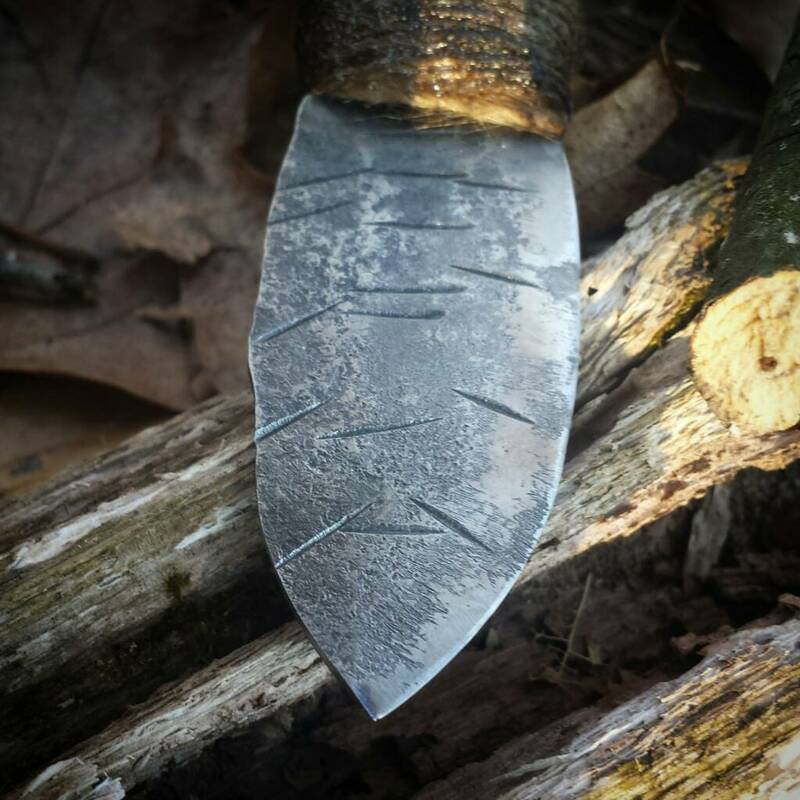 The blade is 2" long, 1/8" thick at the center and forged from 1095. 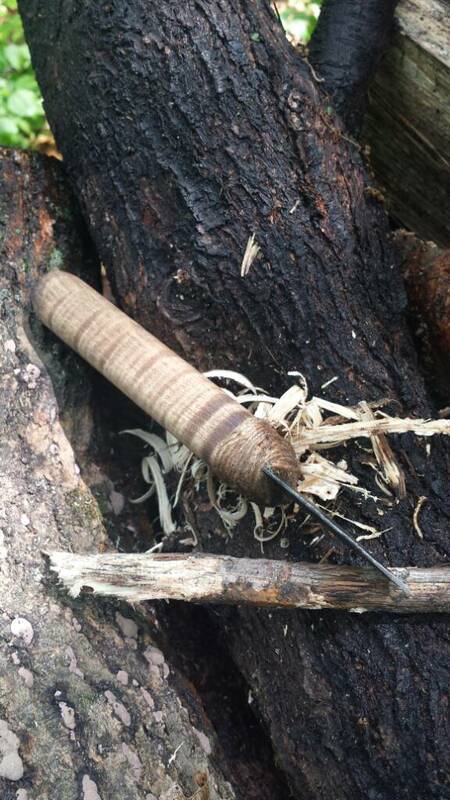 The handle is walnut with a epoxy soaked jute wrapping. Sold. I don't know whether I'm more enticed to buy one or try making one myself! I L-O-V-E the blade on this last one. Finished another Otzi! 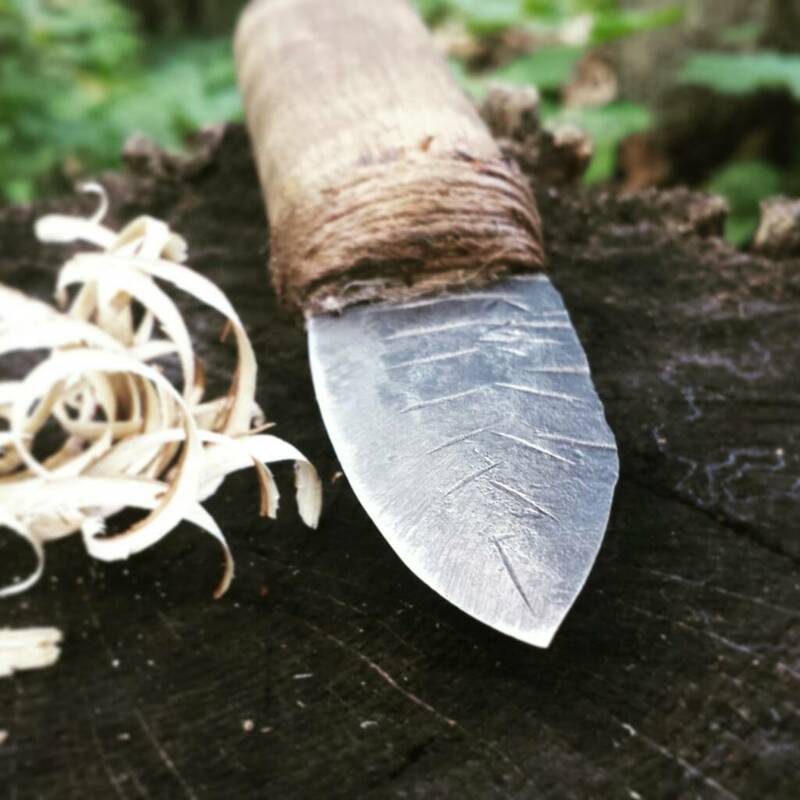 The blade is 2" × 1/8" and forged from 1095. The handle is curly maple with an epoxy soaked jute wrapping. Sold. It looks amazing, can't wait to get my hands on it! 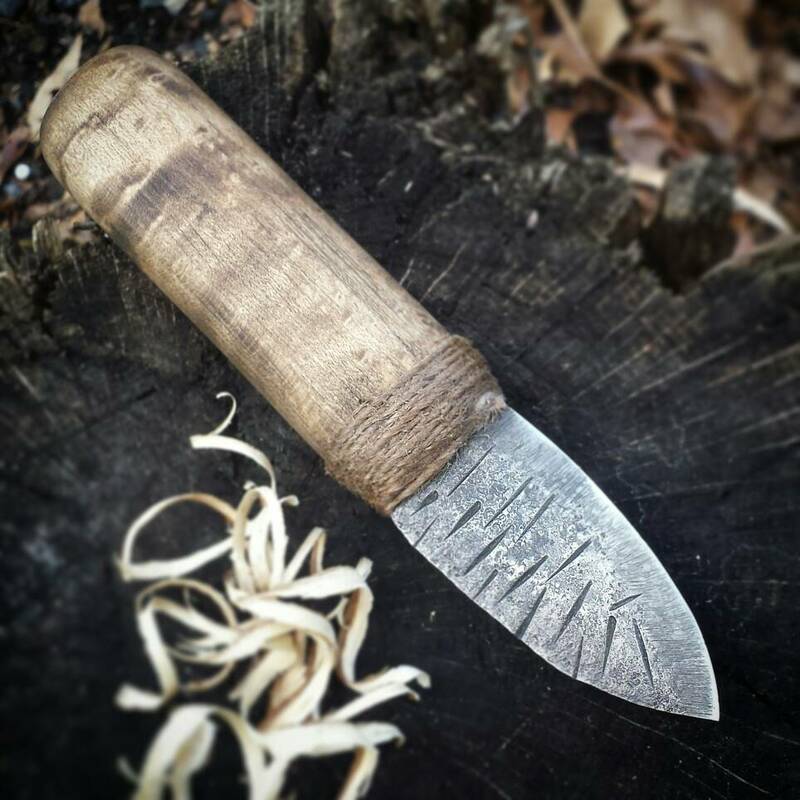 Really cool knife; it looks like it could be practical for many tasks in the modern world. 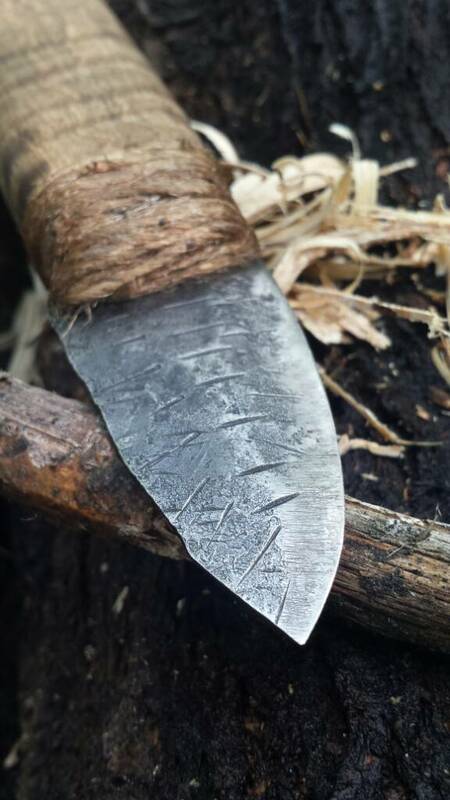 Does Otzi plan to come out with a "signature knife" for The Otzi Wilderness Survival and Neolithic Bushcraft School?? It could be a best seller. Here's another Otzi. 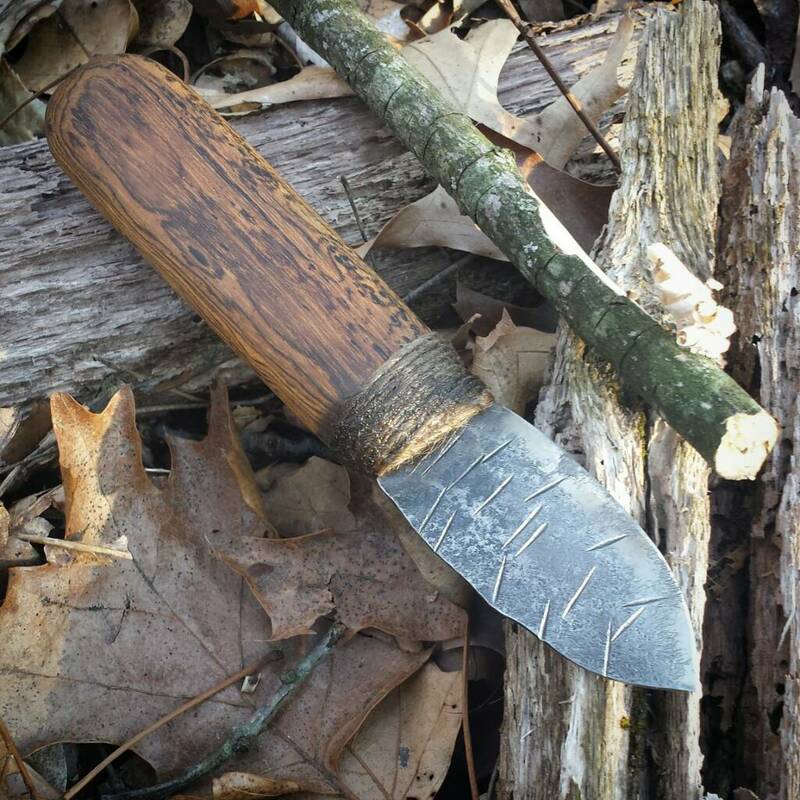 The blade is 2.5" × 1/8" 1095 steel. The handle is birds eye maple with an epoxy soaked jute wrapping. Sold. Just finished up this Otzi. 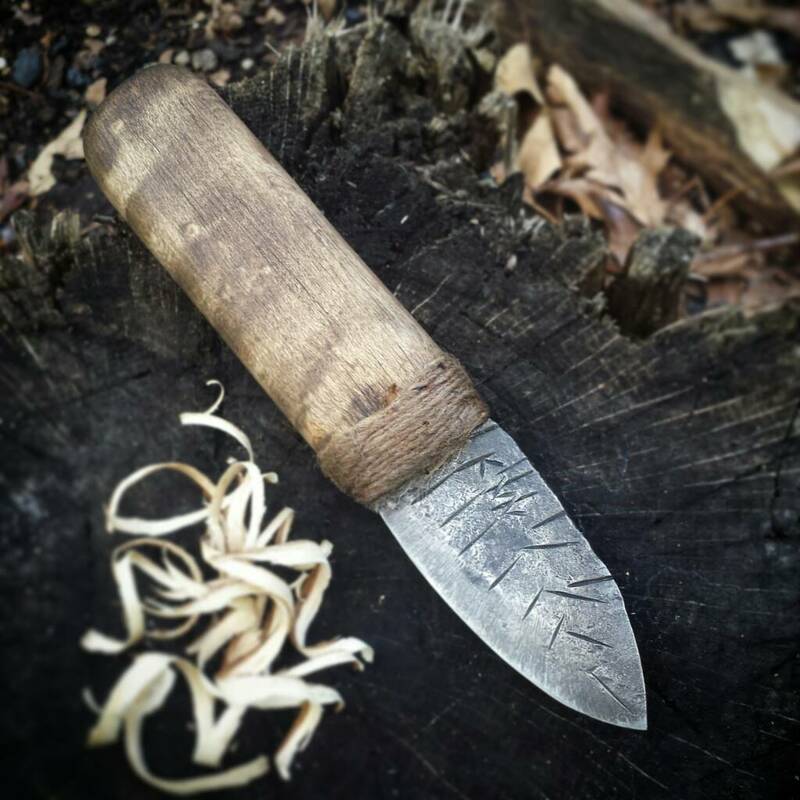 The blade is 2.5" long, 1/8" thick and forged from 1095. The handle is becota wood with a epoxy soaked jute wrapping. Kenneth and Sosteve like this. These blades are soo cool. Can't wait to get mine!! Thanks again man! I'll keep ya posted. Sandcut, alukban, Buckhenry and 1 other person like this. Very nice work,I like that one alot. Are these still being made? Nolan Wilder and Primordial like this. Hey! Sorry i have been absent! I do still make these. Here's some pictures of more recent ones I've done. One is also full tang. glassknapper and Corso like this. Do you have any more pin tangs still for sale? No, but I can definitely make one for you if you're interested! Sounds good, just let me know!